Update: The Windows 10 experience will make it onto the Xbox One even sooner than expected - but only for some people. On Twitter, Mike Ybarra, head of platform engineering at Xbox, mentioned testers will get to preview the OS in September. Microsoft announced that Windows 10 will be headed to the Xbox One this November. The recently launched OS won't be available in full form for console gamers, but rather boiled down into a controller and voice-friendly flavor called the "New Xbox One Experience." Out of the gate, it doesn't seem to be much more than a hefty dashboard update. But, it's one that might tempt you into digging your Kinect back out of storage. Major Nelson will likely go into detail of the under-the-hood features coming with the update closer to its launch. But the big changes we know about include a refreshed design focused on speeding up dashboard navigation and performance. Cortana, who is no stranger to the console world, will also be introduced in the update. Using the virtual assistant to execute voice commands will require the Kinect, but that's sort of a no-brainer. As for what wasn't announced, we're likely to see some added customization of the tiles and other thoughtful settings that can be tinkered with. 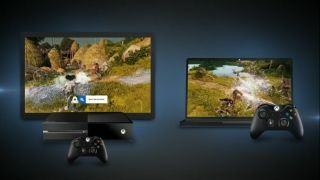 But we're crossing our fingers that bringing Windows 10 to Xbox One will allow for more cross-play titles between PC and console gamers and, to shoot for the stars, the streaming of PC games on Xbox One. Which Windows 10 features do you hope make the jump to the Xbox One? Also, do you think Windows 10 on Xbox One opens up the console to more security vulnerabilities than before?